The call for submissions to volume 18 of the journal closed on 9 November 2018. The call for submissions to volume 19 of the journal will open in August 2019. Articles relating to domestic, European and international law are considered, provided that they are relevant in an Irish context. An annual prize, chosen by our Judge-in-Residence, is awarded for the best article. A separate prize is awarded by the Law Society of Ireland for the best article submitted by a trainee solicitor. 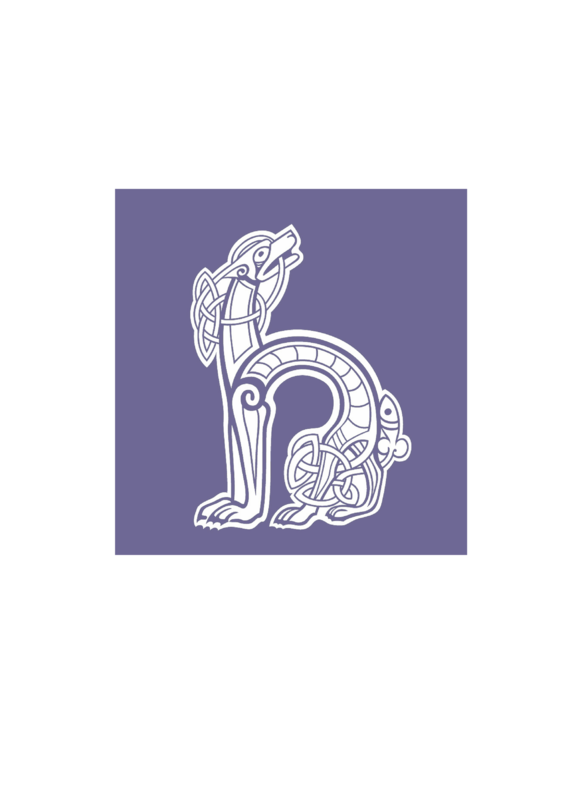 The house style of the Journal is OSCOLA Ireland, which can be accessed here in full and here as a quick reference guide. Articles should be between approximately 5,000 and 15,000 words. The article must not have been published elsewhere, although may be a thesis which is bound and catalogued in a university library. Articles may be on any legal topic of interest to the author. We particularly welcome submissions from trainee solicitors and pupil barristers, PhD students and early career academics. is well written and well structured. articles are poorly written and poorly structured. The call for case note submissions to volume 18 of the Journal closed on 1 February 2019. Case notes of 2,000-4,000 words were sought on any recent seminal judgment by the Irish courts, the EU courts or the European Court of Human Rights. 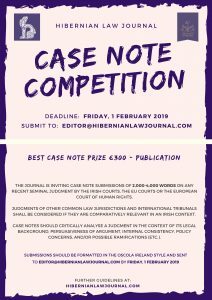 In addition to publication in the Journal, a prize of €300 is awarded for the best case note. Judgments of other common law jurisdictions and international tribunals are considered provided that they are comparatively relevant in an Irish context. Case notes should critically analyse a judgment in terms of, where relevant, its legal background, persuasiveness of argument, comparative context, internal consistency, novelty, policy considerations and/or potential future developments and ramifications (etc.). The Journal reserves the right not to award the advertised prize in the event that the submissions received are not of a publishable standard.